Graduate research students from the Department of General Practice held their annual writing retreat in Daylesford. The Students in Primary Care Research group (SPCR) retreated to Daylesford for their annual writing event in late August. The writing retreat provides an opportunity for the students to get away from usual distractions to focus on writing thesis chapters or other pieces. This year was no exception, with everyone enjoying a productive time, including many Pomodoro writing sprints and some free writing. The weekend also allowed us to bond closer together as a group, exchanging support and guidance on all aspects of Department student life. 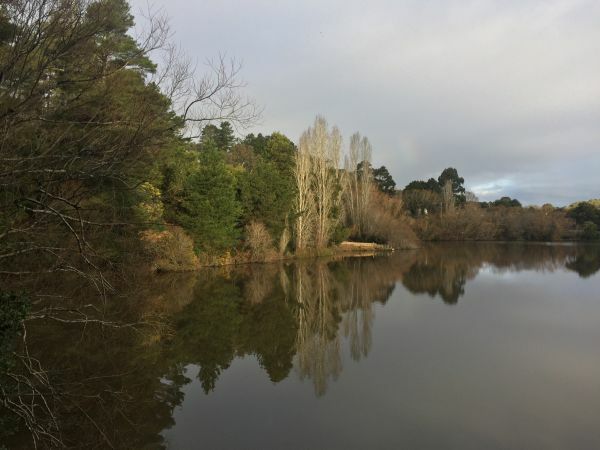 Apart from working, Daylesford’s great food and the lovely walking tracks around Lake Daylesford were thoroughly enjoyed. Many thanks to the staff in the Department for supporting our fundraising bake sales and the Graduate Student Association for their special grant. We’re very much looking forward to next year’s SPCR retreat.